Ryder Carroll, creator of the Bullet Journal Method, strikes a great balance of practical tips and philosophy in this guide to using pen and paper to organize your life, develop the practices of mindfulness and living intentionally, and give a newfound sense of priority and urgency to your goals. "Psychologist Ryan Howes began National Psychotherapy Day because he believed that psychotherapy as a profession has an image problem. Therapy takes place behind closed doors, so the public relies on movies and TV to tell them what therapy is like, and those depictions are rarely accurate. Howes set out to demystify therapy, educate the public about what real therapy looks like and how effective it can be, and create a fun way to celebrate therapy, rather than hide it." On the 6th annual National Psychotherapy Day, I encourage you to learn more about psychotherapy and spread the word. You can read more from Dr. Howes and learn about how psychotherapy can help cultivate self-acceptance here. I also highly recommend the Moments of Meaning video series sponsored by National Psychotherapy Day. This video series featuring therapists speaking from the heart about the transformations that take place between therapist and patient in psychotherapy. The whole series is well done and provides an insightful and moving glimpse into real therapy sessions (all stories are shared with the permission of individual patients, and altering identifying information). If you have ever wondered about the benefits, process, or new perspectives that psychotherapy might offer, take a look at this Moments of Meaning video featuring licensed clinical psychologist, Dr. John Dilley, as he shares his experience of entering psychotherapy as a patient himself. You can read more about National Psychotherapy Day here, and find the Moments of Meaning video series here. Facebook executive, Sheryl Sandberg, is an enormously successful technology executive (named one of the 100 most influential people in the world by Time magazine in 2012), author and speaker. 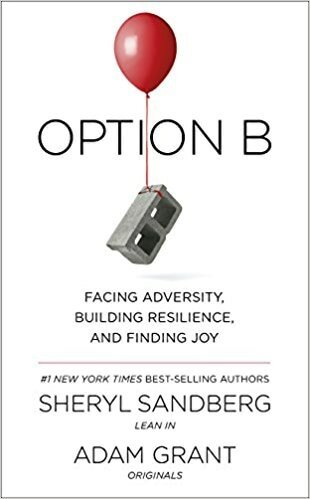 Over the past few weeks, she has been making the rounds on day and nighttime talk-shows promoting something much closer to her own heart, her new book, Option B: Facing adversity, building resilience and finding joy. The book, written with Sheryl's friend, psychologist Adam Grant, is at once a deeply personal reflection on Sheryl's sudden loss of her husband Dave to heart failure at age 47, and inspiring call to find meaning, purpose, and develop resilience in the face of adversity. As Sandberg writes, we are not born with a set amount of resilience, after which small and large challenges threaten to overwhelm us. But rather, resilience is like a muscle, that can be strengthened and developed throughout our lives. Sandberg and Grant worked together to write the book and to launch Option B, an organization with the mission to bring people together to support one another and share resources from experts on building resilience. Option B, the book and the organization, promise to be excellent resources for those coping with loss and adversity, and all those searching for meaning and joy. Here you can read excerpts or listen to the full recent interview on NPR in which Sheryl discusses her new book and advice on how to help someone who is grieving. Below you will find the full video of Sheryl's moving 2016 commencement address at UC Berkeley in which she discusses her own grief and advice on developing a spirit of gratitude and resilience. 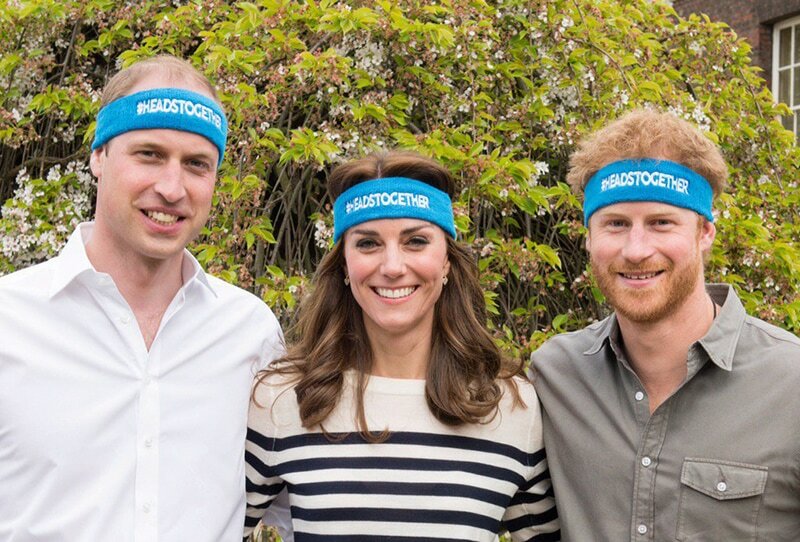 Heads Together is a UK campaign, spearheaded by the Duke and Duchess of Cambridge and Prince Harry to end stigma around mental health. This week the campaign released a video of the Duke, Duchess and Prince discussing their support of the mental health initiative. “Since we launched Heads Together last May, we have seen time and time again that shattering stigma on mental health starts with simple conversations. When you realise that mental health problems affect your friends, neighbours, children and spouses, the walls of judgement and prejudice around these issues begin to fall. And we all know that you cannot resolve a mental health issue by staying silent." Here in the US, the OK to Say campaign has been working to encourage people to talk openly about mental health. So often people do not ask for or seek out the help that they need because of stigma. Sharing our stories and working as a community to encourage one another and share resources can improve and save lives. If you are interested in continuing this conversation and showing your support, consider joining the National Alliance on Mental Illness (NAMI) annual Dallas NAMI Walks 5k coming up in on May 13. Journaling can be an invaluable resource for therapy. When someone describes an unusually good (or bad) day in session, I often ask them to reflect on what was different. Answers of "I don't know." or "Nothing, I think." are supremely frustrating in that they leave a person feeling helpless, as though a good or bad day comes out of the blue or passes them by completely outside of their control. More often than not, there are concrete things someone did, thought, or felt that either contributed to a better day or perhaps kept a bad day or experience from "taking over" or becoming unmanageable. Take for example the few pounds we all may or may not have added over the holidays. We can be perplexed when we look at the scale now and wonder, "How did that happen?" But we also know that people who log everything that they eat or drink 1) tend to eat and drink more mindfully and healthily, and 2) can readily identify that pumpkin cheesecake or second helping that likely added to the scale come January. Journaling can provide that level of insight for your mental health. Identifying patterns can be empowering and can provide you with your own individual data on what works, and what doesn't, what contributes to a great week, and what behaviors, skills, and experiences help you nip anxiety or depression in the bud. This process can help you clarify thoughts and feelings and solve problems more effectively. Journaling can improve your body as well as your mind. University of Texas social psychologist and researcher, James Pennebaker has found that regular journaling strengthens immune cells (lymphocytes). A study published in Advances in Psychiatric Treatment noted improvements in both physical and psychological health in clinical and non-clinical groups after just 3-5 15-20 minute journaling sessions. 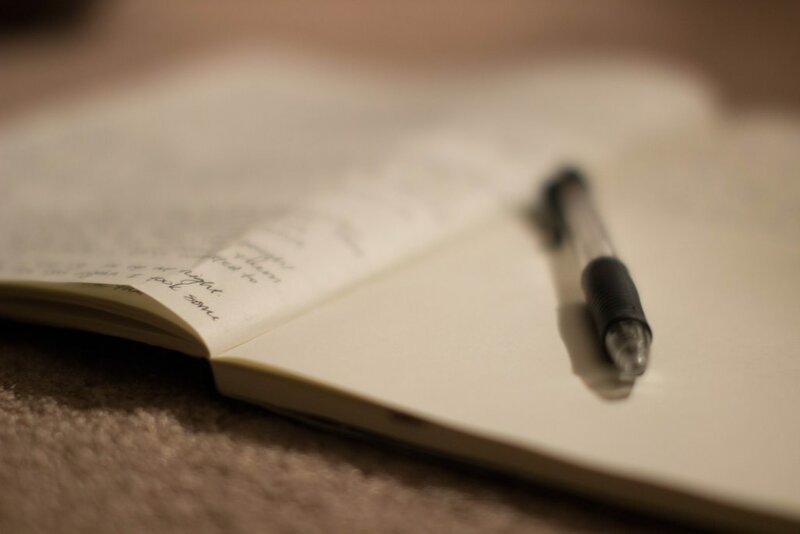 Other research suggests that journaling offers not just emotional, but physical benefits to individuals battling terminal or life-threatening illnesses. Perhaps we see these benefits because, as Pennebaker suggests, writing about stressful events helps you come to terms with them and reduces the impact of these stressors on your physical health. Remind you of therapy? Journaling and therapy can beautifully complement one another. The work that you do journaling over the week can build on the momentum, insights, and positive changes you are developing in therapy. How to begin?​ When many people hear "journal," the embarrassing teenage diary tucked away in a sock drawer comes to mind. But a journal can be much more than a diary (or much less, if you like), and there as many ways to keep a journal as there are journal-ers. 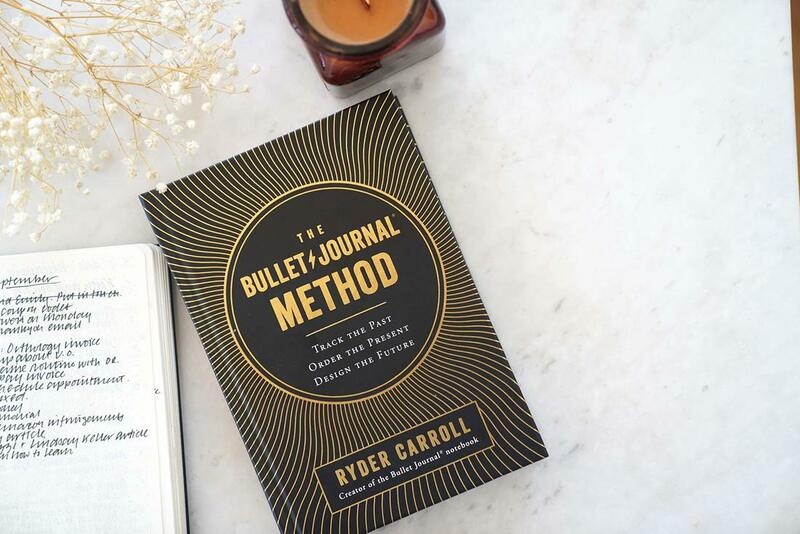 For those who don't fancy themselves writers, or who feel overwhelmed at where to begin, the Bullet Journal developed by Ryder Carroll offers a streamlined way of tracking daily activities, including mental health. Adding space for a gratitude journal can provide time and space to reflect on positive thoughts, feelings, and experiences in a way that can actually help re-train your brain to more readily identify (rather than discount) positive experiences. Including self-care ideas for when you notice triggers or early signs of depression or anxiety can help you easily identify tried and true methods to change course or help manage those negative feelings before they become overwhelming. ​Make it yours. Your journal can be as minimalistic and straightforward or artistic and detailed as you want. Are you the type of person (this month) who delights in a To Do list? Or does a listing these tasks and obligations bring you additional stress? If so, you may find you are better served by a "Done" list. Find your own style and what works best for you. The beauty of making a journal your own is that it can change with you from week to week, and month to month. Build on what works for you, and leave what does not behind without guilt (recognizing each of these is progress in and of itself!). ​Finally, I'm personally a proponent of putting pen to paper. One of the benefits of a journal that you physically create yourself is that you have complete control in customizing it to fit your needs as opposed to having pre-printed pages that you don't love or use in a day planner or maintaining multiple tracking apps. That said, if a physical journal just feels too analog for your life, there are a number of apps out there that track habits, moods, and provide space for journaling. Just be aware of protecting your privacy and online presence if you choose a digital route. BulletJournal.com offers a videos, tips, and tutorials on how to start a bullet journal. Rachel Wilkerson Miller and Anna Borges at Buzzfeed offer a lighthearted and insightful collection of ways to use journaling to track and improve your mental health. This divisive political season and election have heightened anxiety throughout the US. A Harris Poll on behalf of the American Psychological Association found that 52 percent of American adults report that the 2016 election is a very or somewhat significant source of stress (read more here). And remember, "sitting with emotional distress of any kind is neither wise nor necessary. If you feel upset, unsettled, and anxious—take action and make decisions that prioritize your emotional health and make you feel better." You can also view Guy's viral TED Talk on boosting emotional health below. Take care of yourself and one another out there. 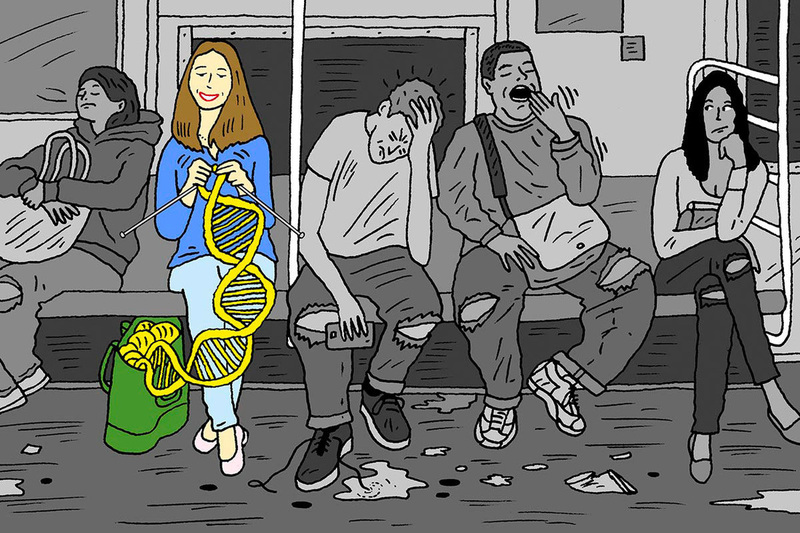 The field of social genomics is granting us new insight into the power of connection and meaning at the level of our DNA. Researchers have known for some time that the stress response stifles the body's immune system and increases the inflammatory response (which in turn promotes the growth of cancer cells, plaque in the arteries, and increases our susceptibility to neurodegenerative disease). Researchers John Cacioppo, professor of psychology and behavioral neuroscience at the University of Chicago, and Steve Cole, professor of medicine at the University of California, Los Angeles, revealed that the brains of many of their participants interpret loneliness as a danger or threat, in short, loneliness triggered a damaging chronic stress-response. Fascinatingly, this response is triggered at the level of genome expression. Inspired by Cacioppo and Cole's work, Barbara Fredrickson, noted positive psychologist from the University of North Carolina at Chapel Hill, became curious as to whether the opposite would hold true. The answer was yes. People who described feeling socially connected, engaged in personal projects, or that they were living in a way that fulfilled meaning and purpose showed the opposite response pattern to lonely and chronically stressed participants. Read more about this Cacioppo, Cole, and Fredrickson's research here. As Spring makes its slow but steady way to us, it calls to mind the newness and oldness of things. New leaves on trees, new buds blooming in gardens. There is a difference, though, between the buds freshly planted in gardens and roadside parks, and the re-emergence of perennials or blooms on trees that have come to be old friends. New-new, and old-new. ​Some of these new-new flora are placed and planted at the moment of perfection, at the height of their bloom. Then, too, they are whisked away at the first sign of fading to be replaced with the fresh and the new. This process, indeed this industry, grows in line with our consumer culture which seems to forever chase the new, the next. ​This is a very Western approach to our surroundings, and to ourselves, We value the young, the new, and we relentlessly pursue perfection. When something is broken or imperfect, we find it useless and ugly. Rather than refurbish or repair, we are quick to replace. Psychically, this takes its toll. If we find ourselves imperfect or broken, we feel unworthy, unlovable, ashamed. We attempt to hide our faults and imperfection from one another and often from ourselves. The Eastern philosophy of wabi-sabi. can help us see and relate to ourselves in a different way. This philosophy cherishes the simple, unpretentious, and aged. The Eastern craft of kintsugi takes this idea from philosophy into art form. Literally golden (kin) joinery (sugi), this practice involves the careful repair of broken ceramic pieces with a combination of resin mixed with gold. The result is that the fractures in a piece are highlighted by the gold, making the object more beautiful than it was before. The object (vase, teapot, bowl) that was valued is understood to be worth the care and love expended to repair it, and is in fact more beautiful for having survived. ​The fresh buds on a cherry tree are to be cherished not just for their beauty in the moment, but for visually reminding us that the tree, our old friend, has survived the winter. Similarly, the laugh-lines on a grandmother's face are a sign of life well loved and well lived. We do a disservice when we try to hide our brokenness, our past, or our flaws, or pretend they never happened. These were (and are) pivotal moments in our lives that, when looked upon with care, can begin great transformation in our lives. 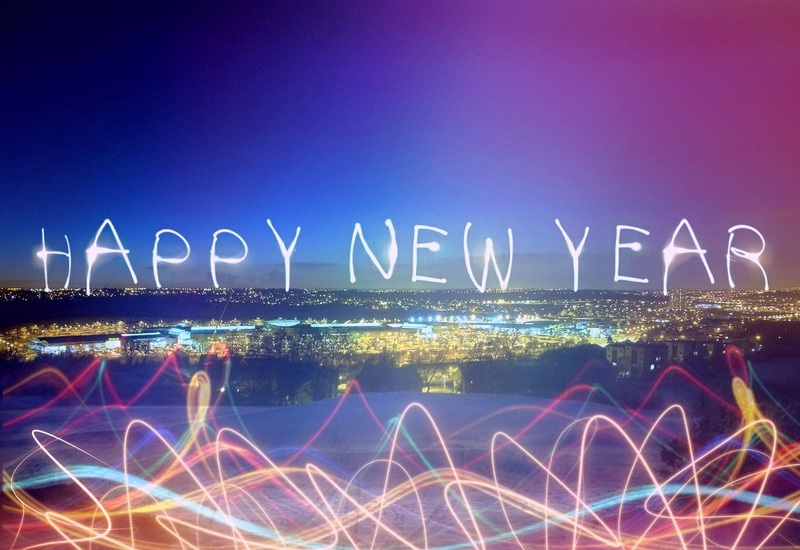 Here's to a new year. Out with the old, in with the new. A clean slate. A new beginning. And often a perfect time of year to include psychotherapy as we work to change ourselves and our lives for the better. I recently found myself in a discussion of new year's resolutions and the comedic and often fatalistic connotations they have come to imply. How long until you break your resolutions? How long until you fail? There is something lovely about a new year that lends itself to thinking of a clean slate, however the all-or-nothing thinking implied in our usual discussion of resolutions leads us to think that when we falter we might as well throw in the towel completely. Perhaps a better way of framing our best intentions involves a "theme" for the year, rather than a resolution. This could help you see the new habit, new relationship style, etc. as a work in progress that allows for up and down days, and improvement over the course of a year. Psychotherapy is a great place to discuss these themes and how you plan to strive towards improvement and self-understanding over the coming year. Even the process of ending of therapy, known as termination, provides an opportunity to experience a happy ending (for more on this, see Dr. Ryan Howe's discussion on Ghosting Your Therapist: 4 Reasons not to Disappear). This happy ending, relationship closure done right, can be a therapeutic experience in and of itself. With the holidays fast approaching, this can be a good time to pause and reflect on why this season of thanksgiving and joy can often be so stressful. Do you find yourself anxiously working to anticipate every detail or need in attempt to orchestrate the perfect holiday, the perfect family get together, the perfect scrapbook moment? Or are you pulled by the gnawing suspicion that no matter how hard you try, how badly you want this year to be different, that things will go wrong. Again. Just as they have so many times before? When you find yourself pulled between these two intense emotional states and expectations, it can be easy to blame yourself for what has or what will go wrong, to feel or anticipate feeling blamed by others, or to blame others for behaving in what feels like a predictable destructive pattern. Author researcher and storyteller Brené Brown offers wise words on the underlying meaning and fallout of this tendency to rush to blame. By blaming ourselves or others we attempt to regain a sense of control, but we also lose out on opportunities and relationships in the process. Clinical psychologist Dr. Kristy Novinski contributes insights, book and film reviews, discussions of pop culture, and exploration of news and research in the field of psychology.